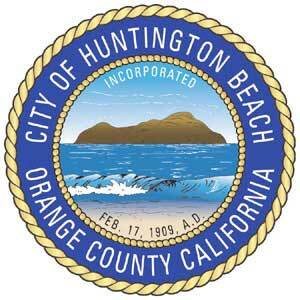 Living in beautiful Huntington Beach means you’re right in the middle of one of Orange County’s favorite cities. Whether you’re enjoying a walk down Main Street or at the Bella Terra Mall, don’t let a plumbing incident ruin your day. Knights Plumbing is here for you, 24 hours a day to fix all of your septic system needs. Our 24 hour emergency line ensures that our certified and bonded plumbers will be ready to come to your home or office with a smile, even in the darkest hours of the night. We serve the entire Huntington Beach area, and our professional technicians will respond to your call within the hour. No matter what time or day, Knights Plumbing will be there to respond to your emergency call. Knights Plumbing has decades of experience, and our master plumbers will arrive at your location with all the tools needed to get the job done right, every time to get the job done right the first time. We have several Huntington Beach customers that call us for any of their plumbing issues, and we continually strive to maintain a good relationship with them. Our business depends on our reputation, and we strive to make every experience with us, the best plumbing experience anyone has. Flat Rate Pricing – No Hidden Fees or Charges. Another thing that customers in Huntington Beach love about Knights Plumbing is our flat rate pricing. Once you call us, your plumber will be dispatched to diagnose the problem and give you a flat rate for the work that needs to be done. We take pride in our customer satisfaction, and take the guess work out of how much you need to pay for any fixes, repairs, or replacements. Knights Plumbing offers around the clock plumbing service, with a ‘within the hour’ response time. Our highly trained and professional plumbers will come to your property day or night, ready to inspect, diagnose, and fix your emergency situation. Our technicians come fully prepared for the job, whether it’s a common plumbing issue such as clogged drains, or a sophisticated one such as a water pipe burst, our experts will rush to your aid and resolve your issue, 24 hours a day, 365 days a week. Your satisfaction is our guarantee. Don’t let recurring clogged drains from your toilet, sink, shower, garbage disposal or any other water outlet ruin or damage your pipes. Our professional plumbers will come and hydro-jet to clear any debris or material blocking your pipes from properly clearing. Using state of the art video inspection equipment, our plumbers will come to your residence to first assess the situation and determine the severity of the clogged sewer pipe. Our diagnosis could conclude that it’s as simple as debris that needs to be cleared or faulty fixture installations. In the event that a major repiping issue has been detected, we offer a cost effective solution for sewer repair. Our trenchless sewer repiping technique allows us to make all pipe repairs or replacements easy on your residence by not having to dig trenches on your property, causing headaches and expense nightmares. Our sewer repair process allows us to utilize the most effective and affordable method possible, with no damage to your property. Most homes in Huntington Beach are built on a slab foundation. Knights Plumbing will inspect your property’s foundation and use our leak detection equipment to pinpoint the stress fractures before they turn into costly water problems over time. We provide free estimates for all our slab repairs and will quote you for a flat rate fee. We have fixed thousands of slab leaks throughout Orange County, and we guarantee we will find and fix any slab or foundation leak. If you’re experiencing low water pressure,discolored tap water, or you’re tasting a metallic taste, your water pipes might be galvanized. It’s important to inspect and repipe your property immediately to prevent future pipe failure. Even if your home has been fitted with copper or plastic pipes, it’s critical to inspect your water lines to see if they have been fitted to connect to iron pipes around the property. If home or office stops running hot water, Knights Plumbing will come to your residence to determine if your hot water heater needs repair or replacement. 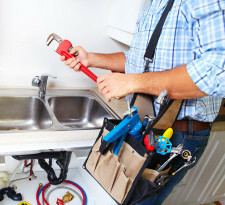 Many times, hot water heaters need to be repaired, and we will get your hot water back in no time. Our plumbers specialize in every type of hot water heater, from tankless to electric, including all major brand names such as Rheem, Rudd, Lenmore, General Electric, Bradford, A.O. Smith and more. It doesn’t matter if you live by the Huntington Beach Pier or Golden West Community College, Knights Plumbing will be at your home to take care of your plumbing issue. Our flat rate pricing and customer satisfaction guarantee will give you peace of mind to know you are getting the best plumber in HB, no matter where you’re at. Let us take care of your emergency so you can get back to enjoying the surf at State Beach. 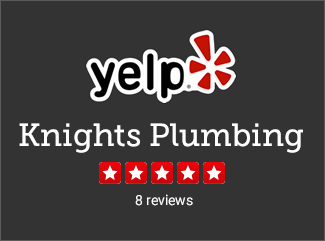 At Knights Plumbing, we take great pride in our work, only dispatching Orange County’s best plumbers to your Huntington Beach home or property. We are dedicated to providing only the highest level of quality plumbing and customer service to every customer. We stand with complete confidence behind the quality of our team’s work, with the training, certification, and experience to provide the superior service you deserve every time.